As leading developers in Bangalore, we have over two decades of experience in real estate business & have successfully developed several BDA approved plots. We understand that purchasing a home is the biggest investment most people make in their lifetime & there are emotions & expectations involved when people take this pivotal decision. As such, everyone wants to focus on quality that will last their lifespan. For us, building great relationships is as important as developing great living spaces. In fact, great relationships are the foundation on which company was built & to this day it remains cornerstone of our success. 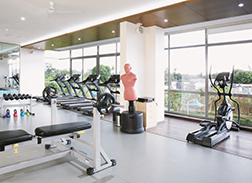 Pionier Developers, set up in 2012, strives to meet expectations people have and surpass them by offering projects that have the best eco-system and well thought-out layouts. 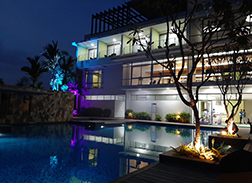 In addition, our projects are loaded with amenities such as exclusive clubhouses, guest rooms, play area for children, modern gym, spa, swimming pool, jogging trail, and a lot more. Moreover, all our projects, ranging from Pionier Lakedew Residency to Pionier Residency and Pionier LifeStyle+, are situated in strategic locations so that you are never far away from important hotspots within the city. Our main focus is on ushering in a better tomorrow by offering quality of life that surpasses international standards of living. Our mission is to be recognized as most successful property developer in country known not just for excellence in development & infrastructure but also for our commitment towards customers. Pionier was founded on the principles of innovation and excellence in the field of real estate in Bangalore. Today it has evolved into a leading trustworthy name in the realm of property development. Our aim is to provide customers quality and efficiency that is of world-class standards along-with maximum value for money. The Pionier spirit is about offering nothing but the very best, because that's what your dream home deserves! Choose from 100 ultra-premium villa plots that provide a rich experience and a peaceful retreat set within blissful surroundings. Adjacent to Gattahalli Lake, Pionier Lake Dew Residency offers both tranquility of a lakeside home & vibrancy of community living. Pionier Residency welcomes you to a life that is close to conveniences of life but still far away from the hustle and bustle of the city. Dr. A Rama Reddy was interested and involved in real estate from an early age. After graduating from a medical college in 1999 he entered the business full time. His ambition was to expand development catering to the rapidly growing city of Bangalore. His layout plans were approved by the BDA and his projects, which were never located beyond BDA became highly successful. There was no looking back for Dr. Reddy post that. He successfully implemented his ideas, continuously developing properties of various types and scales including gated communities, villas and more. Pionier, as a result, grew from strength to strength. Dr. Reddy follows a consumer-centric approach to business and has ever believed that they deserve only the best. Lavanya A, the CEO of Pionier Developers, started her career at Pionier as a Director right from the day the company was set up in 2012. A versatile professional and a fast learner, she quickly proved her mettle picking up how to run the various departments that make up a real estate firm. She brought to the job her refined artistic sensibilities and design aesthetics. Every new project Pionier took up bore the imprint of her distinctive aesthetics. Her vision is to merge beauty with function, without compromising on either. As a person with a thorough understanding of premium lifestyles, she envisioned Pionier Lifestyle+ with the ultimate premium sensibility - go for nothing but the best. Lavanya has always believed in setting high standards rather than just following them. Indulge in our ultra-modern amenities for leisure and well-deserved relaxation. Significant market research conducted in burgeoning areas points towards huge upside potential. Since it's litigation-free, getting a home loan is quick and easy. Sound advice from industry experts and domain consultants. 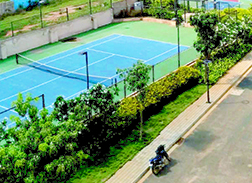 Conveniently connected to HSR Layout - a lively cosmopolitan hub in Bangalore. BDA-approved and litigation-free to put your mind at ease. Round-the-clock security and electronic surveillance to ensure that you have one less thing to worry about. State-of-the-art architecture and flawless execution. In keeping with it's name, Pionier aims to provide several resale options comprising of lucrative real estate prospects for both homeowners and investors. With our collective expertise and knowledge, we can provide you the fastest and most efficient resale options and help you arrive at the optimum price point for maximum possible profit. Fill out the form below, and our executive will get in touch with you. Copyright 2019. Pionier Developers. All Rights Reserved. Pionier Developers welcomes you. By accessing this website, you unconditionally accept this disclaimer without any limitation or qualification. The content on this website and all our communication is intended solely for general information, and is not to be construed under any circumstances, by implication or otherwise, as an advertisement and/or as an offer to sell or a solicitation to buy or sell or trade. All project information and specifications displayed on the website, including but not limited to the information and details contained in project related material that you may download are for information purpose only and do not constitute an offer under any law for the time being in force. The imagery used on the website and brochures are indicative of style only. Photographs and walkthrough of interiors, surrounding views and location may have been digitally enhanced or altered and do not represent actual views or surrounding views and are indicative only. The Company shall not be liable to you and/or any other person for any decision you may take as a result of or on the basis of any such information and we encourage you to contact the company directly for up-to-date and accurate information.